I’ve been making fudge for over 30 Christmases. Somewhere along the line, the division between helper and doer blurred between my mom and I during the cookie and candy making fervor of Christmas, the net result being me making fudge for many a Christmas. For most of those 30+ years, I used my mom’s awesome recipe. But then my parents had a house fire and the recipe card disappeared before I could copy it down for myself. That was only the second year I didn’t make fudge since turning about ten or eleven years old. 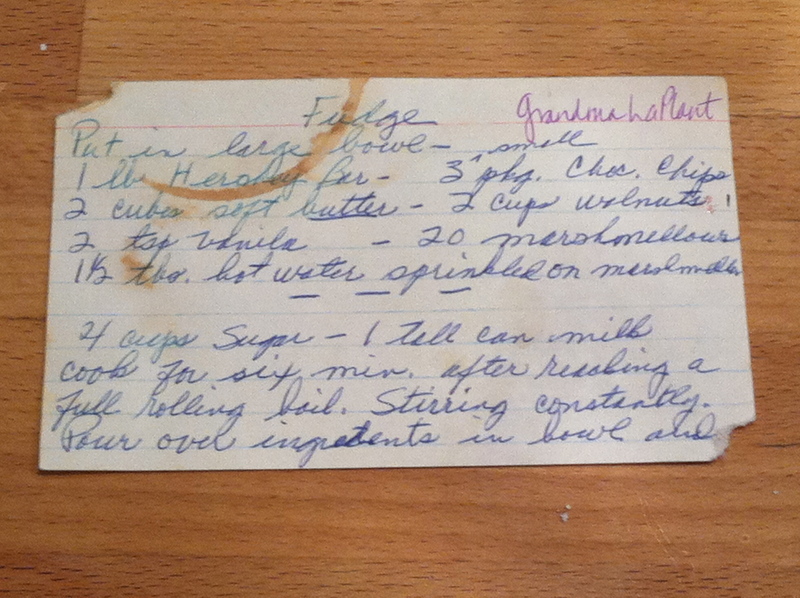 Then, a few months later, I received a copy of my Grandma’s fudge recipe and I’ve been back in the fudge making business since.